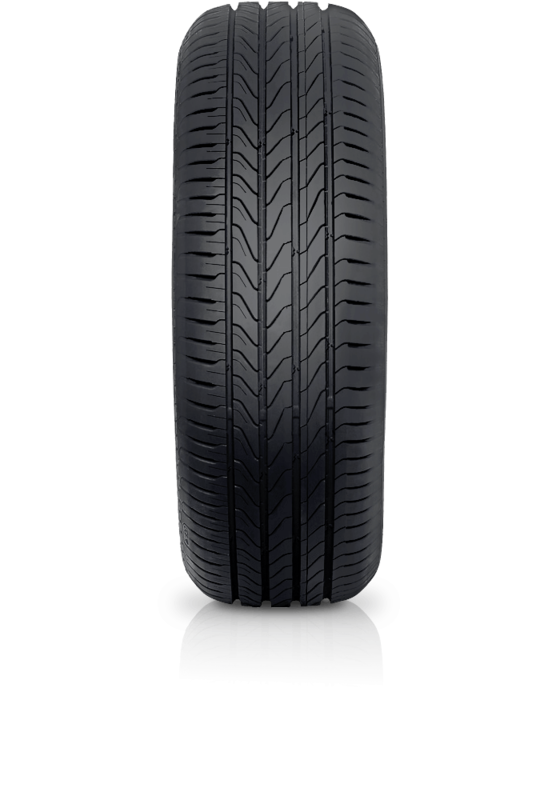 Continental UltraContact UC6 offers balanced handling, braking and improved safety with a superior ride and perfect all round performance. Continental UltraContact UC6 offers balanced handling, braking and improved safety with a superior ride and perfect all round performance. To maintain high level of safety on wet roads, engineers at Continental Tyres’ re-invented the tread design by adding Aqua Drainage to enhance wet grip and reduce aquaplaning. In addition, the Diamond Edge Pattern of the UltraContact UC6 prevents the “rolling-in” effect of the pattern blocks for short braking distances. The chamfered angle also wipes the water film away on wet roads, ensuring extreme short braking distances in wet conditions. The Diamond Blend Compound, consisting of short-chained grip-polymers and long-chained mileage-polymers has been elevated to an unprecedented level. This enables a high grip level for braking and cornering, combined with provision of a long mileage. UltraContact UC6 further lowers the noise level by introducing Noise Breakers 2.0, an enhanced version of the well-known Noise Breaker concept to interrupt the noise waves in the grooves.